A solution to expensive patented medicines is generic competitors. The United States has struck a pretty good balance between innovation and low prices through the Hatch-Waxman (1984) Act, which specified patent terms for newly invented medicines, and a pathway for generic competitors to enter the market after a period. One obstacle to generic entry in recent years was a very slow approval process at the Food and Drug Administration. This led to a backlog, which was unexpected because one important benefit of Hatch-Waxman was that generic competitors did not have to replicate the expensive clinical trials that innovative drug-makers had to carry out to receive the FDA’s approval. OGD’s final numbers for approvals and receipts and a few other metrics for the full FY 2016 were released today. OGD approved 51 ANDAs in September for a total of 651 for FY 2016, an average of 54.25 ANDA a month. This represents the largest number of approvals in a fiscal year in (at least) the last 8 years (and likely longer) and is the most approved under GDUFA I (previous GDUFA high was 492 which was achieved in FY 2015 and 517 in FY 2012 prior to GDUFA). That’s the good news! The bad news is that OGD received a total of 853 ANDA (71/ANDAs/mo) in FY 2016 which is 202 more ANDA than it approved. It is true there were also 184 tentative approvals in FY 2016 but that still leaves OGD a little short on the balance sheet. However, because the 2012 law attracted an increase in new applicants, it is not clear that the backlog has improved, despite OGD having hired almost one thousand new employees to process ANDAs. The change GDUFA introduced was to make generic drug-makers, instead of taxpayers, fund the approval process. In one respect, this is good, because the users pay for their own regulatory process, privatizing a cost that had been socialized. Manufacturers’ payment of user fees increased the OGD’s revenues. However, because the regulatory monopoly remains in place, it consumes the revenue without becoming more productive. Further reform would allow multiple pathways to allowing patients to use safe generic drugs. 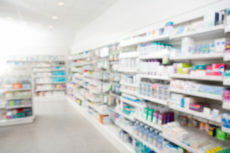 For more on the Food and Drug Administration, see FDAReview.org.